The World Association for Medical Law has established a bi-annual Davies Award. ​Davies Award - Is a 2-year competition with presentations in Tokyo and Toronto. The award winner will be announced during the session in Toronto. Papers will be based on merit by a rigorous process through a selection Committee. With this award, we honor the lifelong contributions of Professor Davies to the field of Medicine and Public Health and hope to encourage and promote scientific contributions that will be a precedent for further medical advancements. The authors of the winning papers will be encouraged to send their full paper for consideration in the International Journal of Medicine and Law. Submit your abstract to the 25th World Congress on Medical Law and Ethics. Complete participant's registration for the World Congress including payment of participation fee. Must submit a 3 page summary (academic references included) of your proposed paper to worldassocmedlaw@gmail.com. Must submit a full manuscript to worldassocmedlaw@gmail.com. 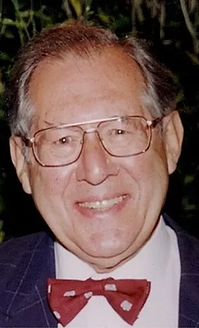 Professor A. Michael Davies (1924 - 2016), MD. FFPHM., graduated from the Royal College of Surgeons, University of Manchester in 1946. In his long career he accomplished to make a contribution not only in the Medical Arena in England, but also in Israel serving as the Chief Epidemiologist in the Israeli Ministry of Health, Associate Professor and Head of the Department of Medical Ecology at the Hebrew University, and his many years in the position as Professor of Public Health at the Hebrew University. In his longstanding career, he has been a member of various committees and consultant to divisions of the Israel Ministry of Health including epidemiology, health statistics, mother and child care, preventive services etc. He also served as a temporary advisor and short term consultant to the World Health Organization in Geneva, in expert committees on rheumatic fever and aging, including occasionally functioning as consultant to divisions of MCH, human reproduction, strengthening of health services, AIDS, health of the elderly, health statistics, tropical disease research etc.